Glamorise Style 6201 Magic Lift« Full Figure Support Body Briefer Super support Body Briefer with a unique cross under and over design is built for better uplift, separation and support. Waist trimming and tummy-controlling panels. Wide adjustable stretch straps. MagicLift® Full Figure Support Body Briefer Super support Body Briefer with a unique cross under and over design is built for better uplift, separation and support. Waist trimming and tummy-controlling panels. Wide adjustable stretch straps. 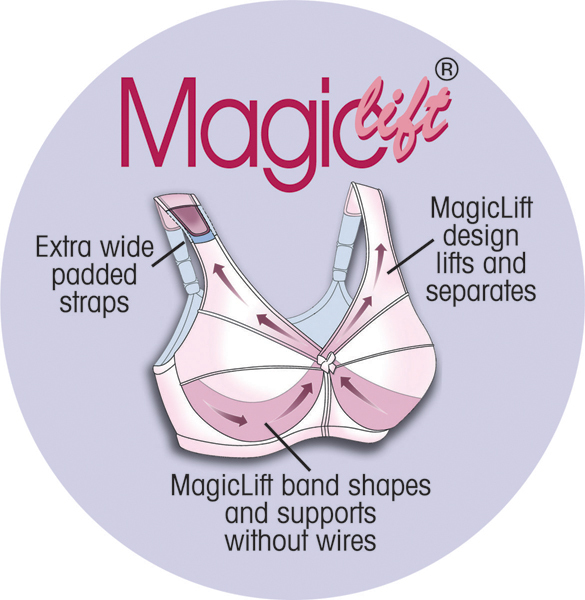 ••Body briefer with MagicLift® design for better uplift, bust definition and support.